Our annual ski and snowboarding trip is back! 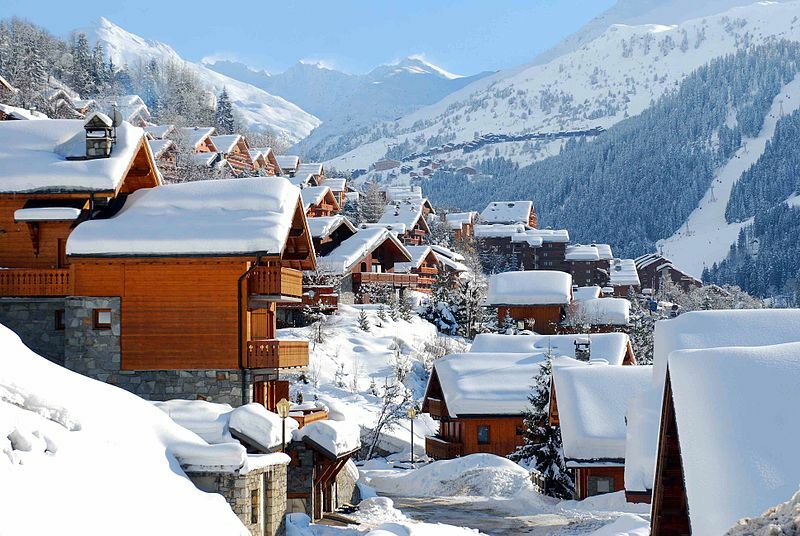 Explore the beautiful resort of Méribel and the immense Three Valleys ski area over 7 days. All abilities welcome! Since 1990, Méribel Village has become a lovely hamlet, designed in the Savoyard tradition with chalets and barn renovations, a chapel, a communal bread oven, local shops and restaurants with terraces. Built around its delightfully sunny square, Méribel Village is closely linked to the Méribel and Three Valleys ski areas, with guaranteed snow throughout the season. One of the great things about Méribel Village is the direct access back from the slopes via the blue-graded Lapin piste. On this week-long holiday you'll enjoy the huge selection of ski and snowboard runs in The Three Valleys, the largest ski area in the world, take in epic views of snow-capped peaks and deep valleys, choose from cosy evenings in your private chalet or nights out with great apres ski, and have lots of fun with your host and other like-minded adventurers. If you've never come on an EC Adventure before, they're informal, friendly and great fun. We generally have singles, couples and small sets of friends coming along, from outdoor enthusiasts to adventure professionals - what we all share is a love for adventure. Ages tend to range between mid 20s and mid 40s but anyone over 18 years old is welcome. This is a ski and snowboarding trip open to all, you don't have to have any previous experience - if you want to organise lessons just get in touch and we'll be happy to help. On the first Sunday you’ll arrive at Geneva airport in the late morning where you'll be met by Belinda, your host. After you've all arrived you'll take a private minibus transfer to the chalet. For the rest of the afternoon you can relax and wind down at the chalet. Each day will start with a filling breakfast with hot and cold options, and then you can go to the main area of Méribel or take the nearby chairlift straight up into the pistes, snow parks and beginners areas at the Altiport. After you've explored the endless possibilities of the Three Valleys ski area, you can all meet up in Méribel for a drink before heading back to the chalet for afternoon tea, or you might choose to stay out until dinner! In the evenings, you can head out to The Lodge du Village nearby which has a large terrace, serves food all day and is famous for its great live music apres sessions. The bars and restaurants of Méribel centre can be accessed via the free resort bus that runs until late, or you can simply walk there from the chalet in about half an hour. The chef has one night off during the week so you’ll also have the chance to sample some local cuisine. The chalet is located in Méribel Village, conveniently situated just 200m from the blue ‘Lapin’ piste and the ‘Golf’ chairlift. It is also only 2 kms from the main town of Méribel, which has a good selection of apres ski, bars, restaurants and shops. You can walk to Méribel in around 25 minutes, or take a short ride on the free resort shuttle bus which runs every 15 minutes until midnight. There are ten twin bedrooms, an open fire and boot room with heated boot warmers. The ground floor comprises an entrance hall, the boot room, two twin en-suite bedrooms, and a large dining room, off which is a spacious wraparound terrace. The lower ground floor has four twin en-suite bedrooms whilst the first floor is home to two twin en-suite bedrooms and spacious living area with open fire. The second floor comprises two large twin ‘eaves’ bedrooms (standing height) sharing private facilities between them. Check out the floorplan HERE. You'll be just down the road from Méribel, at the heart of the epic Three Valleys resort, the largest ski area in the world. Méribel itself has 46 ski lifts, the majority of which are modern, fast chair lifts and gondolas. You can stay in the valley and explore the variety of pistes, or head further up on the lifts to enjoy sweeping panoramas from the Roc de Fer peak or Mont Vallon, at 2,952m being the highest skiing point in Méribel and offering a spectacular view over the Gébrolaz glacier and Grand Casse. If you want to try out some freestyling you can also head up to DC Area 43, a terrain park accessible to all with mini-halfpipes, kickers, rails and a superpipe! Beyond Méribel you can get the lifts to the seven other resorts in the Three Valleys (Courchevel, La Tania, Brides-les-Bains, St Martin de Belleville, Les Menuires, Val Thorens and Orelle). The resort has over 600km of slopes accessible to all levels of skiers and snowboarders. Of the 327 trails, 56% are green and blue (beginner/intermediate), and 44% are graded red or black (advanced), catering almost equally to various ability levels. You can make your holiday a real adventure and try different runs every day! You can often get the best price by booking your lift passes in advance, keep an eye on the Méribel resort website for updated prices for 2019 (please note these will only be released later in the year). If you'd rather have some flexibility you can just head into Méribel on Monday morning and buy your lift pass on the day. Please book a flight to Geneva that arrives by 11am on Sunday 20th January, in time for the transfer at 12 noon. If you arrive after this time you will have to arrange your own transport to the chalet. Please also book a return flight that leaves after 3pm from Geneva airport on Sunday 27th January, so we can ensure the transfer gets to the airport in time. Again, if you want to leave later or earlier you will have to arrange your own transport. Please email Belinda directly with your flight details once you have booked (belinda@explorersconnect.com). A party in the woods to celebrate 10 years of adventure. Talks, workshops, woodland silent disco, the friendliest like-minded crowd & LOTS of new adventures to try! Be quick, places are limited.